I took Dan Lok High Ticket Closing™ Course starting July 26th 2018 - September 6th 2018 for a total of 7 weeks. It was a 7-week live course and it transformed my life. Instead of taking a 9-5, $42,000 per year job as an IT Associate Tech, I am now well on my way to making a 6-figure income in 12 months having closed over $100,000 in sales (as of 11/13/2018). Here below is my Dan Lok High Ticket Closing Review of the course, and an explanation of how and why it changed my life as well as a list of pros and cons of HTC™. Season 7 officially starts on November 8th 2018 and you can register for HTC™ or schedule a time to chat. Why did I choose to enroll in Dan Lok High Ticket Closing™ Course? I graduated with 2 Bachelor’s Degrees and a Commission in the U.S. Army (National Guard) as a Second Lieutenant in May 2018. I majored in Communication (Public Relations & Advertising) and Computer Science while I was in College. I honestly wasn’t too sure what I was going to do in terms of my career. Yes, I have awesome degrees. Yes, I have military experience and general work experience. However, my military commitment is part-time and I needed a full-time job to supplement my income and lifestyle. The thought of going to a 9-5 was just dreadful. I never had a 9-5, and disliked internships in the past where I had to show up to an office at a set time, and no matter how hard I worked or got stuff done, had to leave at a set time. All of a sudden, a Facebook ad like this stared at me from my computer screen. I researched Dan Lok intensively that night. I probably didn’t go to bed till early the next morning as I was so engrossed in researching whether Dan was the real thing or this was just another fake get-rich-quick scheme. After hours of YouTube reviews and deep-web research, I was satisfied and took the plunge. Something must have switched on in my mind that day as well because I figured “If I’m ever going to make a decision to try something that will propel my life forward, would today be the day?” “What if I wake up 6 months later, look back at today and realized that this would’ve changed my life if I had taken the opportunity?” So with that I paid the $$$ and got started with HTC™. Skin in the game, skin in the game. How has HTC™ changed my life? During Week 2 of HTC™, I closed my first $2,000 deal for my influencer. That was a $200 commission and I thought hey, I’m not bad, I’m doing this, I’m actually a High Ticket Closer™ now!!! Before Week 2 I couldn’t close a single deal. What I realized afterwards was that Weeks 1 and 2 of HTC™ had such a profound impact on my mindset and on closing and I instantly closed after applying what I’ve learned. Throughout the 7 weeks, I closed over $25k that basically allowed me to cover my initial investment and more. I am definitely proud to say that I made my money back while still being a trainee with HTC™. Now sitting at 3 weeks over graduation (on 09/27/2018), I’ve closed about $50k for 3 different influencers and basically transformed my life. Why did HTC™ change my life? My mindset and belief-in-self completely changed. Yes, I am a Commissioned Officer in the U.S. Army and strongly believe that I have solid mental fortitude. However, the HTC™ course made me self aware and pushed the limits of my mind even further. Things that I feared or never thought possible were cast aside. I don’t need a 9-5. Check. I’m self-sufficient. Check. I will close consistently. Check. I never have to worry about my income. Check. My friends and family are better because of my ability to close. Check. The list goes on and on. I’ve discovered and am mastering a High Income Skill that I will utilize for the rest of my life. Right now, $3,500 packages at a 15% commission gives me $520 per close. Closing 1 deal a day, working 4 weeks a month would result in 20 closes (If I wanted to work just 5 days a week) and that would bring in $10,400 in commissions. I’m currently closing anywhere from 3 - 4 deals a week, bringing in a steady ~$8,000 income (more than 2x what I expected to make at a regular 9-5). I’ve found tremendous value in networking with like-minded people who are fanatical about success. 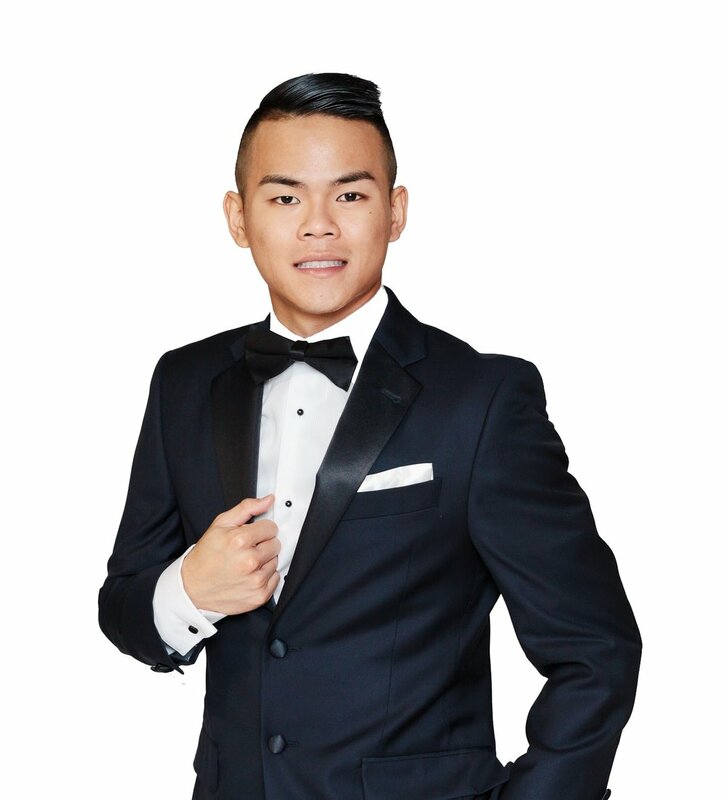 There are over 3,000 members in Dan Lok’s HTC™ program. Everyone signing up for the course has put in money, time and definitely a lot of courage into improving their lives and their families. For that reason, I’ve made the best connections and look forward to starting possible joint ventures and skyrocketing my entrepreneurial dreams. The coveted Dan Lok HTC™ Inner Circle has only slightly over a 1,000 members. These members are the most prestigious, I’d say the top 3% in the world who dedicated themselves to a lifetime of mentorship under Dan Lok. These connections are top-notch and I’m already benefiting in a multitude of financial and social aspects. I’ve truly understood what it means to build, grow and maintain a wealthy fortress. Now armed with a High-Income Skill, I am working on a hugely scalable business that I will reveal in the near future. I will slowly dabble in High-Return Investments but first I want to focus on bettering my High Ticket Closing™ Skills.